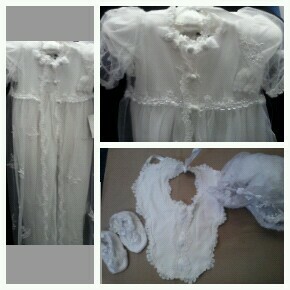 L'Pety Canar Heirloom Christening gown. Comes with matching shoes, and bonnet. Manufacturer close-out! Was $295.99! All sales final.